Located in Pitlochry and founded in 1951, the Pitlochry Festival Theatre is one of the finest attractions in the local area. Audiences visiting the Theatre in the Hills expect shows that are joyful, entertaining, reflective, ambitious and diverse. 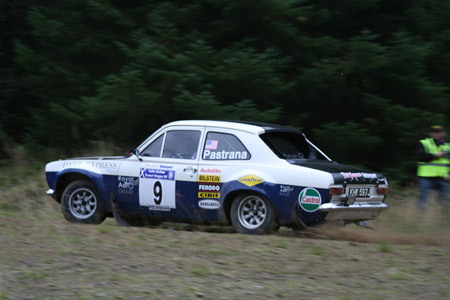 We think that their 2019 Summer Season offers such stimulation in abundance! The Pitlochry Festival Theatre Summer Season offers a unique theatrical experience, with six productions in daily repertoire. No other UK theatre attempts this extraordinary feat and nowhere else in the UK can you experience such a large resident ensemble of actors, drawn from far and wide, performing multiple roles in multiple shows – musicals, comedies and dramas – six days a week, and in 2019, their resident band of talented musicians, will perform in the musical Summer Holiday. 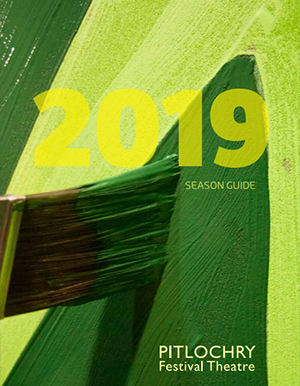 In addition to the six 2019 shows, there will be the usual Summer season events of Sunday Concerts, Active Arts Workshops, Master Classes, Tours and Talks! The 2018 season runs from 24th May to 5th October. 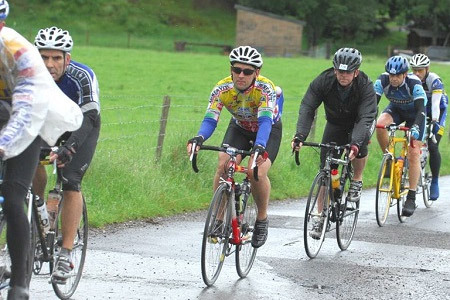 Over 5000 cyclists annually descend upon Pitlochry when Perthshire's only closed-road cycle challenge - the Etape Caledonia comes to town. The 81-mile course will start and finish in Pitlochry, winding around Loch Rannoch and Loch Tummel, with a total ascent of 1,949m. 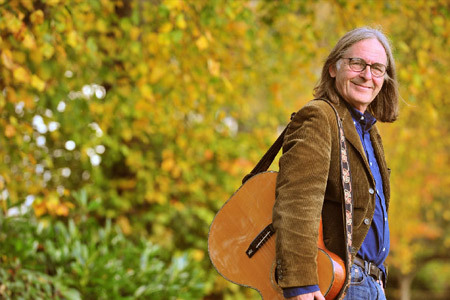 Packed with concerts, open mic, workshops, talks and music sessions... day and night. 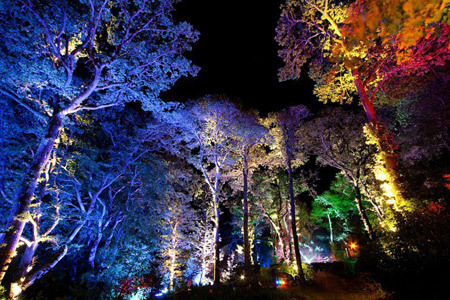 There are some daytime events programmed during the week but most are in the evenings giving you the chance to get out and about, experiencing all the wonderful things Perthshire has to offer. A traditional Highland Games with competitors coming from all over Scotland and further afield to participate. 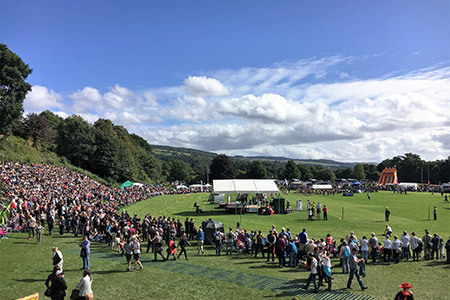 A fantastic entertaining sporting event, the Pitlochry Highland Games takes place on Saturday 7th September 2019 at the Recreation Ground venue in Pitlochry, Perthshire. 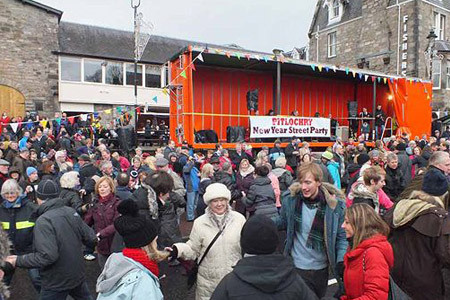 1st January 2020 - Pitlochry has a New Years Day street ceilidh, outside of Fishers Hotel in the centre of town. Everyone is welcome to this friendly shindig, bringing locals and visitors together for a ceilidh in the street on the first day of 2020. 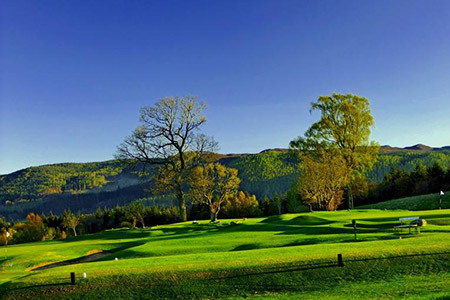 Once described as "the Switzerland of Scotland", Pitlochry Golf Course offers the visitors to the course the chance to play one of Perthshire's most scenic and visually appealing layouts. Juniors, Ladies & competitions throughout June, July & August respectively. 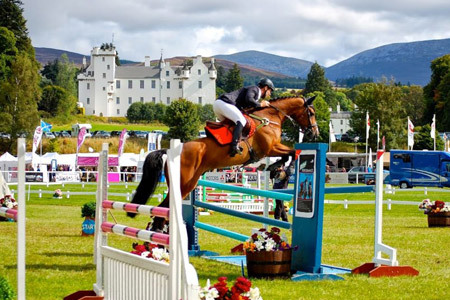 Blair Castle International Horse Trials and Country Fair is Scotland's leading equestrian event, running over four days in August each year and attracting in excess of 40,000 visitors. Olympic medalists compete alongside amateurs in the four International event classes. The annual Dunedin Chapter gathering of the Harley Davidson Owners Group. 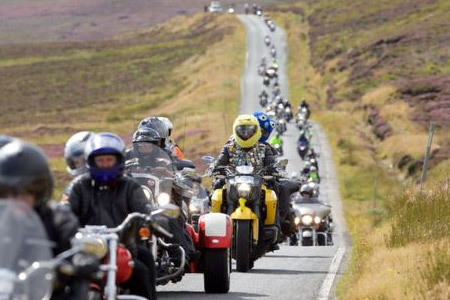 Over 3000 Harley Davidson motorcycles arrive in the highland town of Aviemore for a weekend of riding and relaxing. 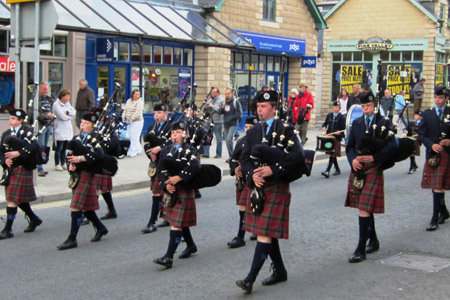 Presented by the Vale of Atholl Pipe Band, Highland Night is an evening of traditional entertainment, full of Scottish Music and Dance. An outdoor production that is performed weekly during the summer months by local artists.